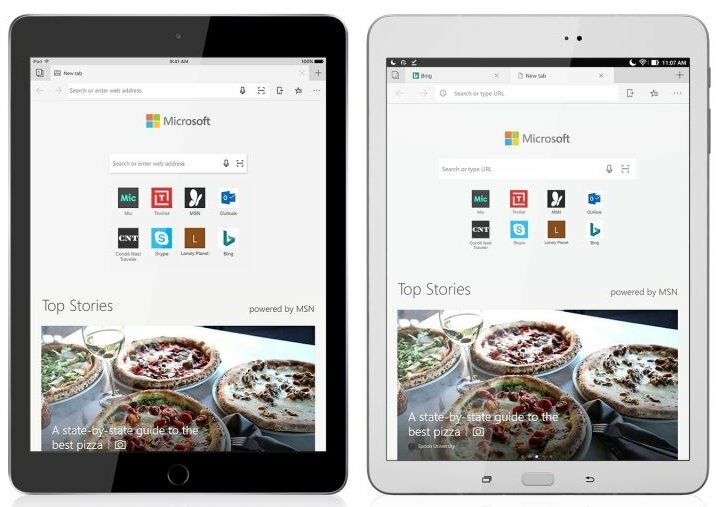 Microsoft has announced that its Edge web browser is now available to use on Android tablets as well as Apple's iPads. "Now, you too, can experience familiar features like your Favorites (including Roaming Favorites), Reading List, New Tab Page, Reading View, and Roaming Passwords in Microsoft Edge across all of your devices," the company said in a blog post. This comes a few months after the web browser was made available for iOS and Android platforms in preview mode, something which happened in October last year. The preview label was removed in November. Because Edge is faster and more agile than most competitors? Old ie is bad, but edge is actually quite fast. The only problem is that it is so new that it lacks some features.